Soft tissue injuries caused by sports and athletic activities tend to heal slowly and can prevent you from doing the activities you love for a long period of time.  With platelet-rich plasma (PRP) treatment from Stuart A. Kauffman, DO, at PRP in Philadelphia you can speed up the healing process and reduce your pain. Located in Huntingdon Valley, Pennsylvania, and serving the greater Philadelphia area, Dr. Kauffman specializes in PRP treatment for sports injuries and pain. To learn about treatment options, call the office or schedule an appointment online today. What types of sports injuries can be treated with PRP? With PRP after surgery, Dr. Kauffman carefully injects PRP gel into the treatment site to increase blood flow and healing nutrients. Blood platelets are responsible for clotting and wound healing. When used as an injection, PRP treatments introduce more of your own platelets into an injured area to speed up healing and repair of damaged tissues. PRP treatments include a three-step process. In the first step, Dr. Kauffman collects a sample of your blood using a syringe and plastic vial. Depending on the size of the treatment area, he may collect multiple vials of blood. During the processing step, Dr. Kauffman spins your blood in a centrifuge to separate the platelets from your red blood cells. He then extracts the platelets and adds a thickening agent to turn the platelets into a gel-like substance. At your follow-up visit, Dr. Kauffman injects the platelet gel into the injured tissues, using ultrasound technology to guide the injection and ensure it’s placed at the correct location. The injection generally takes less than 10 minutes and afterward, you can return to your normal activities. Over the following weeks and months, the platelets begin to repair the damaged tissues, and depending on your injury Dr. Kauffman may recommend follow-up treatment. Yes, PRP is a safe procedure and natural treatment option that can be compared to pain relief methods such as steroid injections, opioid medications, and surgery. Since PRP uses your own blood platelets, the risk of infection or immune response is low. The most common side effects of PRP injections are soreness and mild redness at the injection site for a day or two after treatment. Call PRP in Philadelphia or schedule a consultation online today to learn more about how platelet-rich plasma can help you recover from a sports injury.